Zeroseven is an award-winning digital agency in Brisbane, Australia. Because we don't want the web to be boring, we only work on highly creative solutions that work well, look great and make you stand out from the crowd. Projects we have worked on include sites for Griffith University, Telstra, Vast Interior, Green Cross Australia and Woolworths and we specialise in e-commerce and content managed sites. We are big on usability and quality and want the web to be a great and beautiful place. 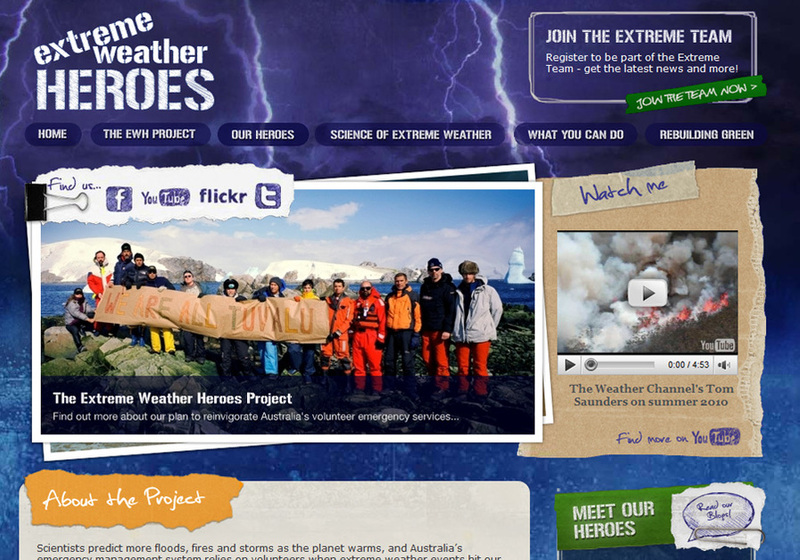 Zeroseven is an award-winning digital agency specialising in creative e-commerce CMS websites - A screenshot from the Extreme Weather Heroes project.